Bluegrass Pundit: West Antarctic glacier collapsing due to geothermal heat? West Antarctic glacier collapsing due to geothermal heat? Somehow volcanoes will be blamed on global warming or George Bush. Take your pick. 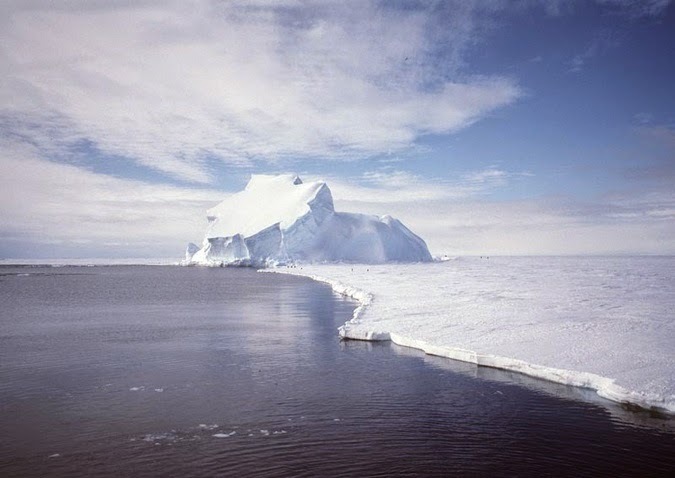 A new study by researchers at the University of Texas, Austin found that the West Antarctic Ice Sheet is collapsing due to geothermal heat, not man-made global warming. Researchers from the UTA’s Institute for Geophysics found that the Thwaites Glacier in western Antarctica is being eroded by the ocean as well as geothermal heat from magma and subaerial volcanoes. Thwaites is considered a key glacier for understanding future sea level rise. UTA researchers used radar techniques to map water flows under ice sheets and estimate the rate of ice melt in the glacier. As it turns out, geothermal heat from magma and volcanoes under the glacier is much hotter and covers a much wider area than was previously thought. “Geothermal flux is one of the most dynamically critical ice sheet boundary conditions but is extremely difficult to constrain at the scale required to understand and predict the behavior of rapidly changing glaciers,” UTA researchers wrote in their study, which was published in the Proceedings of the National Academy of Sciences.